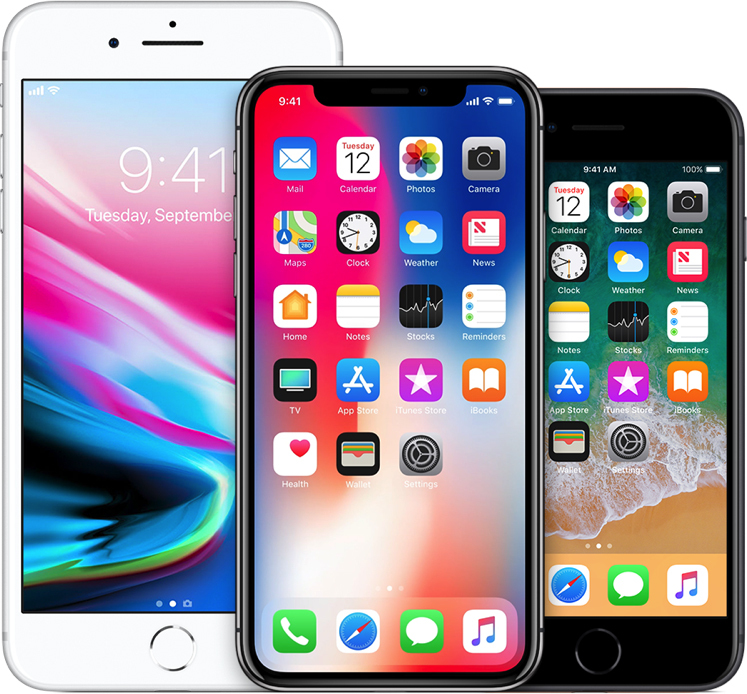 Qualcomm today announced that it has posted €1.34 billion in security bonds required for the chipmaker to be able to enforce a preliminary injunction on select iPhone models in Germany, after a court in the country found Apple to be infringing Qualcomm patents related to power savings technology used in smartphones. Last month, a German court ordered Apple to cease the import and sale of all infringing iPhone models in Germany. Apple was also ordered to recall those iPhone models from third-party resellers in Germany, according to Qualcomm. In a statement, Apple said it is "disappointed" by the verdict and plans to appeal. The company also confirmed that the iPhone XS, iPhone XS Max, and iPhone XR are not affected by the preliminary injunction, but it has temporarily halted sales of iPhone 7 and iPhone 8 models at its 15 retail stores in Germany. Qualcomm's campaign is a desperate attempt to distract from the real issues between our companies. Their tactics, in the courts and in their everyday business, are harming innovation and harming consumers. Qualcomm insists on charging exorbitant fees based on work they didn't do and they are being investigated by governments all around the world for their behavior. We are of course disappointed by this verdict and we plan to appeal. All iPhone models remain available to customers through carriers and resellers in 4,300 locations across Germany. During the appeal process, iPhone 7 and iPhone 8 models will not be available at Apple's 15 retail stores in Germany. iPhone XS, iPhone XS Max and iPhone XR will remain available in all our stores. Two respected courts in two different jurisdictions just in the past two weeks have now confirmed the value of Qualcomm's patents and declared Apple an infringer, ordering a ban on iPhones in the important markets of Germany and China. Apple and Qualcomm are engaged in a major legal battle spanning multiple countries, including China, where a court issued a similar preliminary injunction on select iPhones last month over two separate Qualcomm patents. Apple continues to sell the affected iPhone models in China and believes it is in compliance with the ruling. Late last month, it made some minor changes in iOS 12.1.2 to address the Qualcomm patents in China, including introducing a new animation for force closing apps seen in the video below. Apple sued Qualcomm in early 2017 over anticompetitive business practices related to chip-related licensing fees, while Qualcomm has accused Apple of sharing its trade secrets with Intel among other infractions. In the U.S., the FTC is also taking Qualcomm to court later this month over the alleged monopolistic behavior. You live by rounded-corner patents, you die by rounded-corner patents. Apple continues to sell the affected iPhone models in China and believes it is in compliance with the ruling. Late last month, it made some minor changes in iOS 12.1.2 ('https://www.macrumors.com/2018/12/19/ios-12-1-2-new-force-close-app-animation-china/') to address the Qualcomm patents in China, including introducing a new animation for force closing apps seen in the video below. I would like to see the evidence of how Apple infringed on their patents, because it is possible Apple stole some tech. How about this (Don't know if there's truth in it), Apple paid QC including all other QC patents, Apple stops paying because of excessive rates, when Apple stopped paying they are infringing. Those phones aren't going to stop selling in Germany. They are selling right now. They also didn't even mention "sales bans" in China or Germany as having any impact on the revenue guidance being lowered, so that means it was likely a small to non-factor or they'd be charged with misleading investors. I feel like Qualcomm is just getting nasty at this point. I hope these legal woes make them go belly up in the long run. 2019 is off to a very rough start for Apple. Interesting to see where all of it leads this year. Is there a positive turn in the horizon? Right now I fail to see one. Apple is far from doomed, and can survive the storm, but it's nonetheless hitting them hard. I by no means am a fan of Qualcomm but I do believe they should protect their IP, in my last post just before yours I posted the reason why. Qualcomm's *market cap*: $80-100 Billion depending on some fluctuations in 2018. Tim's quaking in his boots. Oh no, obsolete phones are banned. The horror. Since when are 1-year-old phones obsolete? Or did you think you had stumbled onto an Android forum?